Internet giant Google has created an online cemetery where former users, enthusiastic readers and lovers of its former product and service can visit and say adieu. Google, as we know is notorious for creating products that have features that are just a repetition of the existing ones. products such as services such as Hangouts, Allo, Android messages etc. 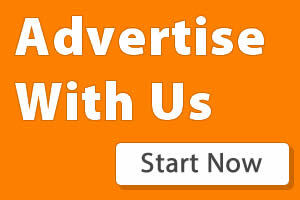 Another aspect which Google is very notorious at is the manner in which it kills most of its service. Google so much love that. So lets take a walk down to Google Cemetery and pay our respect to the products and service that have been Killed By Google. Erm, i forgot to mention. Google has in the past created several services, and at the same time killed so many of it that one location can't accommodate them all. There are two locations in which the remains can be visited. The first is Google Cemetery. The platform has a list of 44 different Google products which have been 'sent into oblivion' along with the reason why each of the product was killed. Lets use Google Spaces for example. When you drag you cursor over the slab, you will see a popup explaining why the product was killed. For Google Space, the message read; "Google's traditional Spring cleaning -- and with it maybe the company is showing it can be a little more focused on its messaging strategy." The service was created in 2016 and died in 2017. The second is Killed By Google. 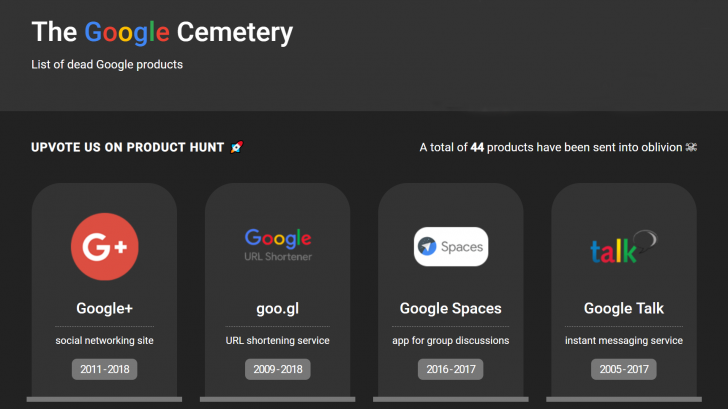 This platform has over 100 tombstones with a comprehensive explanation for each service killed by Google. The open-source sites features services killed By Google, starting with Google Public Service Search (2002 - 2006) all the way to Google+ which will be killed By Google in the 9 months. Now that we have gone through Google's list of dead products, all we can say is adieu! adieu!!. Well,, another of Google's product might be joining the list of the dead products soon... take a look at Google Hangouts. That guy hasn't been looking well for quite sometime now. Anyways, fingers crossed.